The activist’s statement said that at polling stations Nos. 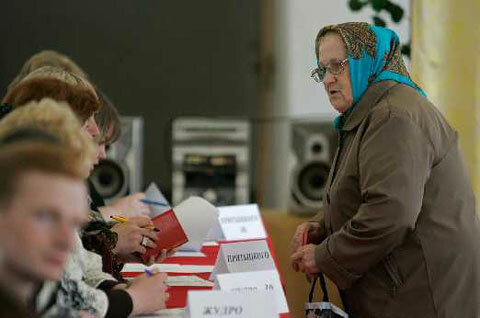 18, 26 and 33 in Orsha there were facts were when the lists of home voters did not match the figures announced after the opening of ballot boxes. Such violations when committed by persons who are involved in the preparation and conduct of elections, or are members of election commissions, or public officials, shall be prosecuted under Article 192 of the Criminal Code, including fines, corrective labor, restriction of liberty or prison terms. As the police interviewed the committee chairpersons of all the above polling stations, the election officials told an incredible story. According to the chairpersons, the election day was marked by unending stream of calls by voters who wanted to cast their ballots at home, because the people reportedly could not get to the polls. There were 345 such people at polling station No. 18 (almost 20% of the entire voter list). Meanwhile, the polling station is located in the center of a residential district and the most distant house is located 200 meters from the premises of the commission. As a result, the alleged number of home voters increased dramatically by the end of the election day. These fantastic explanations were considered logical and convincing by police inspector of Orsha Mr. Trebnikau and the observer’s demand to open a criminal case was dismissed.